Aircraft maintenance crews at NASA‘s Armstrong Flight Research Center prepare the remotely-piloted Ikhana aircraft for a test flight June 12, 2018. 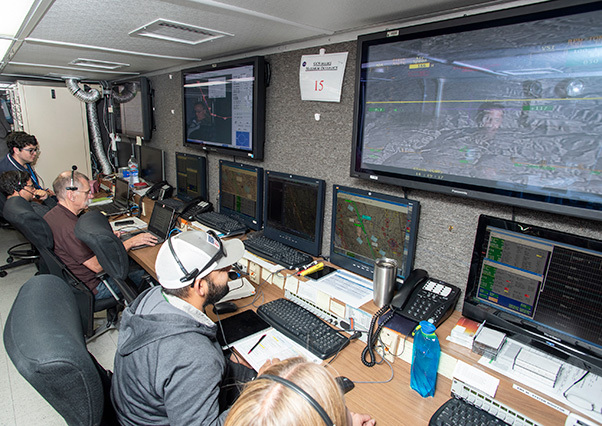 The test flight was performed to validate key technologies and operations necessary for the Federal Aviation Administration’s approval to fly the aircraft in the public airspace without a safety chase aircraft. 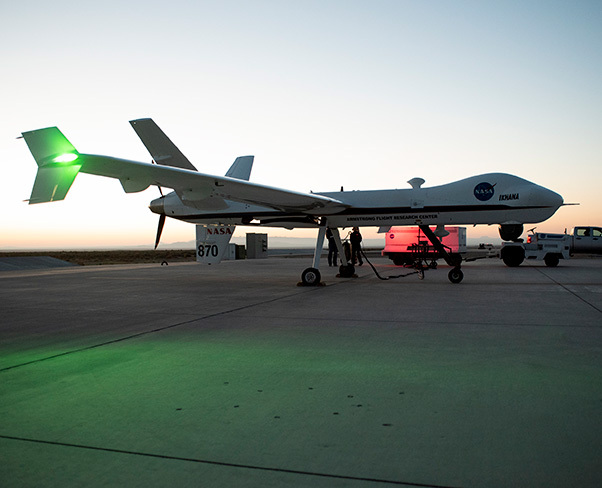 NASA’s remotely-piloted Ikhana aircraft, based at the agency’s Armstrong Flight Research Center in Edwards, Calif., successfully flew its first mission in the National Airspace System without a safety chase aircraft June 12, 2018. Engineers at NASA‘s Armstrong Flight Research Center monitor the remotely-piloted Ikhana aircraft from a mission control room during a test flight June 12, 2018. 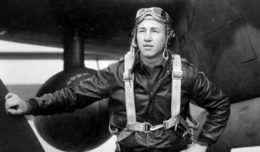 During the return flight, the pilot began a gentle descent over the city of Tehachapi, California, into Class E airspace — about 10,000 feet — where general aviation pilots fly. The pilot initiated an approach into Victorville airport at 5,000 feet, coordinating in real time with air traffic controllers at the airport. After successfully executing all of these milestones, the aircraft exited the public airspace and returned to its base at Armstrong. For more information on NASA’s Unmanned Aircraft Systems Integration in the National Airspace System project, visit https://go.nasa.gov/2sx9VCn. For more information about NASA’s aeronautics research, visit https://www.nasa.gov/aeroresearch.